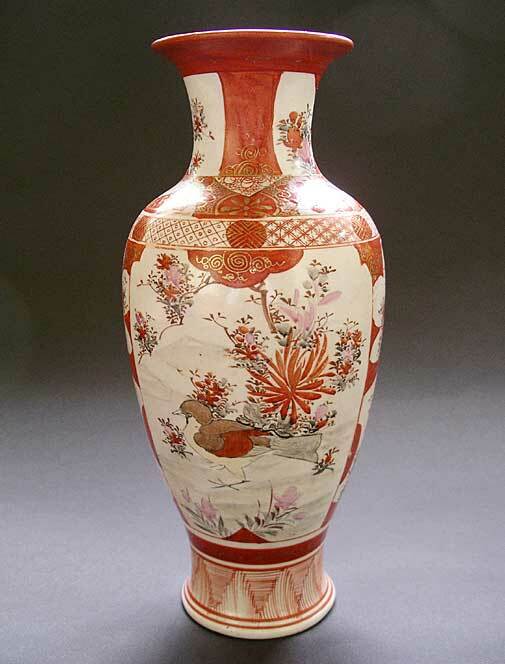 "This wonderful Japanese porcelain vase is skillfully hand painted with panels of bird in landscape and standing and seated figures - plus additional decoration of stylized flowering blossom and butterfly. Quality of design on the striking iron red ground suggests mid-nineteenth century date of manufacture. A fine antique for interior decoration or a great addition to your antique pottery and porcelain collection." Antiques Expert Hamilton Bear. 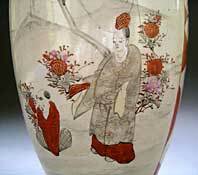 References: The Japanese Edo (Tokugawa) period is 1614 - 1868. Japanese Meiji period 1868 - 1911. Dimensions: height 300 mm max. 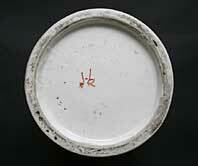 Marks: hand painted Kutani marks in iron red to base as illustrated and worthy perhaps of further research and interpretation. Can you help? Condition: In excellent condition and free from any significant defects or restoration. We consider this is a great display item.